According to a leaked Starbucks memo, new Pokemon are coming to Pokemon Go soon. How soon? I'll let the opening lines of the memo spill the (coffee) beans: "The world of Pokemon Go is about to expand with new Pokemon and a new Starbucks beverage! Starbucks is collaborating with Pokemon in their new update on Thursday, December 8." So why are we hearing about this from Starbucks? According to the memo, the mobile game will feature an in-game advertisement for a special "Pokemon Go Frappuccino," which will be served at Starbucks cafes. It's basically a regular Starbucks Vanilla Bean Frappuccino, but with added raspberry syrup and blackberries. The majority of Starbucks locations will also become PokeStops, encouraging more players to stop by. 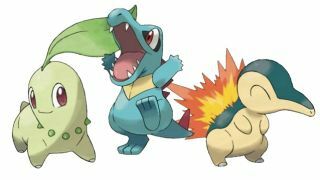 This isn't totally surprising; McDonald's already has a similar deal in place with Niantic in Japan, and the files for 100 Gen 2 Pokemon were uncovered in a Pokemon Go datamine just last month. Still, the idea that this is coming so soon is welcome - I'm getting pretty tired of grinding Pidgey captures.